3072 Belden Drive is a beautiful 4 bedroom storybook style home as well as a original Hollywoodland home. Located above Beachwood Canyon’s Two Stone Gates, and just below the Hollywood sign, the home was featured in Curbed LA and Vintage Los Angeles, selected as a Home of the Week by the Los Angeles Times, and chosen for a spotlight on Fox 11 Los Angeles. Watch it below! 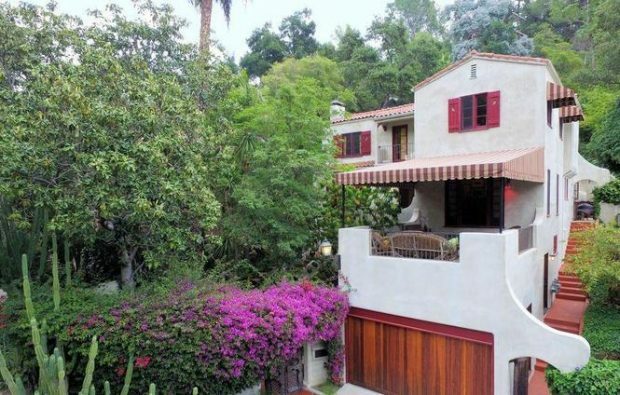 This 3 bedroom Mediterranean-inspired beauty is one of the Hollywoodland’s original homes. Beyond Beachwood Canyon’s prized Two Stone Gates, 2946 Beachwood Drive was built in 1925 with rare craftsmanship and superb quality. The home and grounds have been lovingly restored and updated for its debut on the real estate market for the first time in a generation. The rare and wonderful 3072 Belden Drive is one of Hollywoodland’s first homes built in the classic storybook style. While these homes have all but disappeared in the Los Angeles landscape, there are a few remaining storybook homes sprinkled throughout in Beachwood Canyon and Los Angeles brimming with Hollywood history, artistic flavor, and an idiosyncratic style that continue to be a favorite amongst Hollywood’s creative class. This is a unique opportunity to own a piece of Hollywoodland history.